Israeli war planes staged mocked raids over Lebanon following concerns Hizbullah might attack Israel if asked by Iran, Lebanon says. 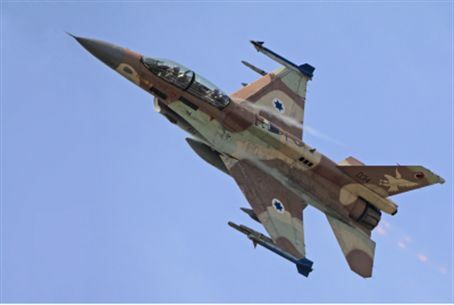 Israeli war planes staged mocked raids over Lebanon following concerns Hizbullah might attack Israel if asked by Iran, according to Lebanon’s Beirut Daily Star. Israel has not commented. The planes reportedly crossed the border late Wednesday morning, diving low several times. The Beirut newspaper said the planes flew over four cities, including Sidon and Tyre. An additional cause for concern over a confrontation with Lebanon has been the spillover into the country of the revolution against Syrian President Bashar al-Assad. Thousands of refugees and deserters from the Syrian army have fled into Lebanon, which is dominated by an alliance of pro-Syrian parties and Hizbullah. If Assad falls, as Israeli leaders predict, Israel could be facing Al Qaeda-linked groups stirring up trouble near the border at the Golan Heights.